The influenza season in the WHO European Region is picking up and WHO/Europe is providing regular updates of the situation based on data provided by Member States. Knowing how influenza is spreading through the Region (often in a west–east pattern) and which strains of the virus predominate helps prepare countries for the peak of the season, when health services may become overburdened by the number of patients. There are 2 types of influenza viruses that cause illness in humans, type A and type B. Currently, the 2 seasonal influenza A virus subtypes are circulating in the Region in almost equal proportions, with A(H1N1)pdm09 viruses being slightly more prevalent than A(H3N2). Very few influenza B viruses have been detected. The distribution of viruses can change over the course of a winter, and the current distribution may not remain the same. Data from the 23 Member States and areas reporting to European Monitoring of Excess Mortality for Public Health Action (EuroMOMO) indicate that all-cause mortality is at expected levels for this time of year, but with a few countries starting to observe some excess mortality in elderly populations. Laboratory analyses to determine the similarity of circulating influenza A(H1N1)pdm09 and A(H3N2) viruses to the vaccine strains are ongoing. Very few influenza B viruses have been reported and it is too early to say which lineage (Victoria, included in trivalent vaccines, or Yamagata, included in quadrivalent vaccines) will predominate. It is too early in the season to have data on vaccine effectiveness, which looks at how well the vaccine protects against clinical illness. Countries should continue to encourage vaccination. During the winter months, influenza may infect up to 20% of the population, depending on which viruses are circulating. People at increased risk of severe disease once infected include the elderly, pregnant women, young children, immune-compromised people and people with chronic underlying medical conditions. These groups represent a significant proportion of the population in the European Region. WHO recommends that everyone at risk of developing severe disease because of infection with influenza, as well as health-care workers, be offered seasonal influenza vaccination. As it is not possible to predict if one influenza virus will predominate in a particular season, seasonal influenza vaccines should cover all viruses that are anticipated to circulate, namely influenza A(H3N2), influenza A(H1N1) and influenza B. Health providers should suspect and treat severe influenza in people at high risk of severe disease, and should consider the use of influenza-specific antiviral medicines even in patients who have been vaccinated. Countries conduct surveillance to characterize the circulating influenza viruses, to determine the timing of the influenza season and the potential severity of disease, and to provide data to WHO for regional and global updates. WHO/Europe and the European Centre for Disease Prevention and Control collaborate to collect and analyse influenza surveillance data from Member States in the European Region and present these data each week in the Flu News Europe bulletin. 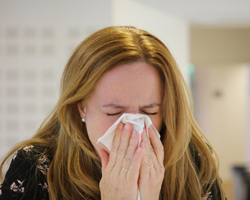 As the influenza season progresses in 2019, Flu News Europe will continue to report on the situation.